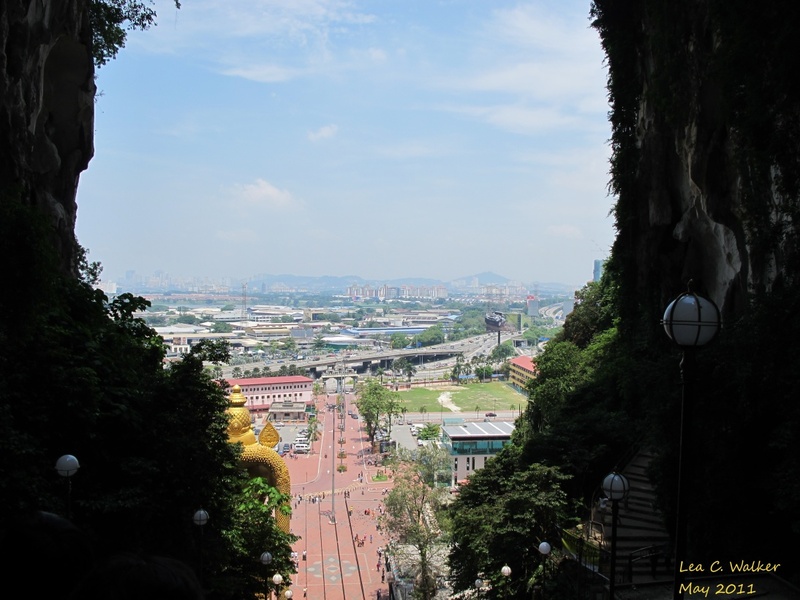 One of the most amazing experiences I had in Kuala Lumpur, Malaysia was a visit to the Hindu shrines located in Batu Cave. 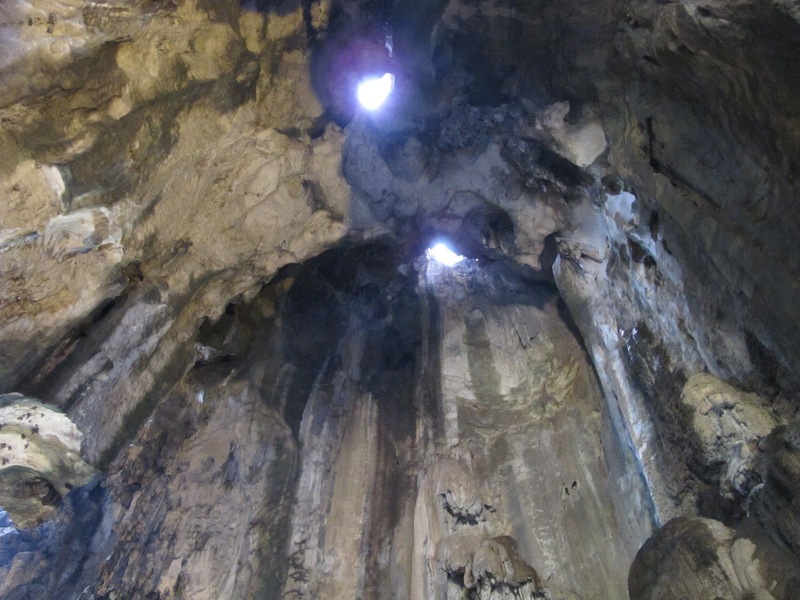 The cave formed by a limestone is 400 million years old but was only discovered in the 1800’s. When I reached inside, I had goosebumps. There were several shrines where people stop to take pictures or pray. 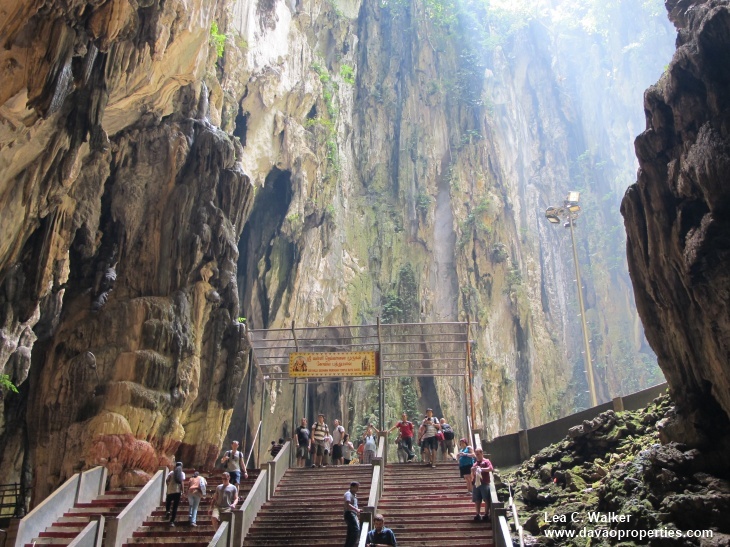 Batu Cave was developed in honor of Lord Muruga, the God of the Hindu’s. 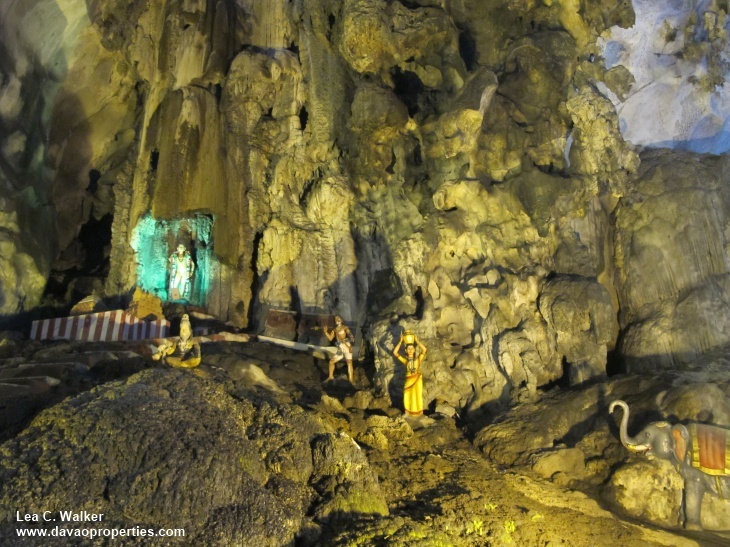 The statue is made of gold plated concrete and is 47.2 meter high. 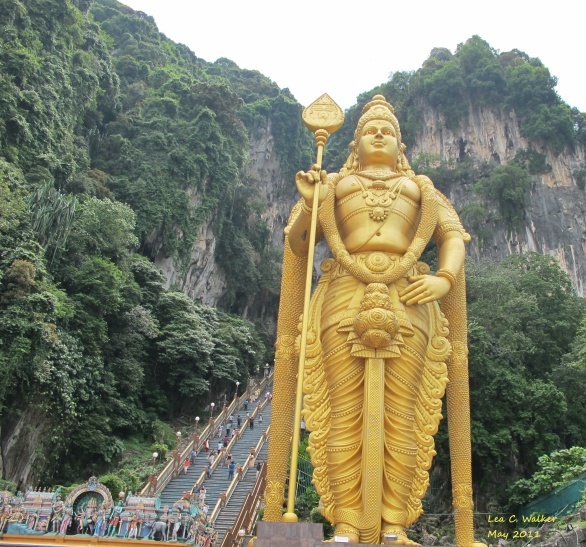 It is believed to be the tallest statue of Lord Muruga. Since we only had limited time to explore the cave, I did not see the other statues, which are as awesome as the ones I saw. 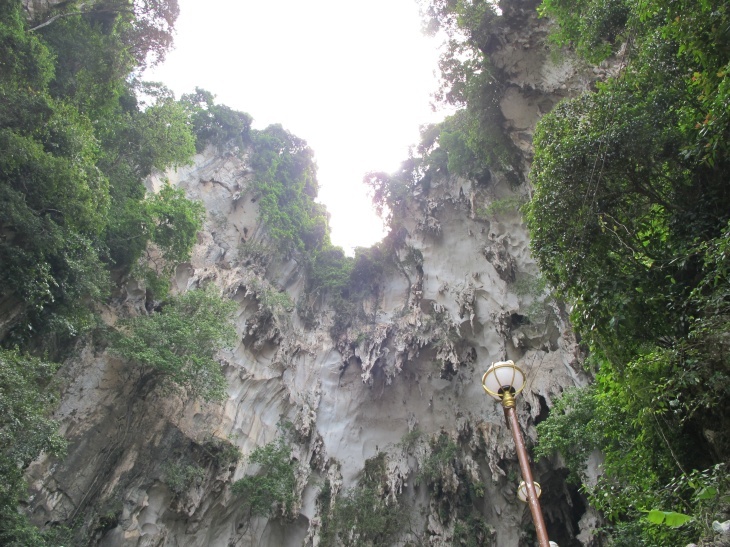 If I am able to go back to Malaysia someday, I would spend more time at Batu Cave. 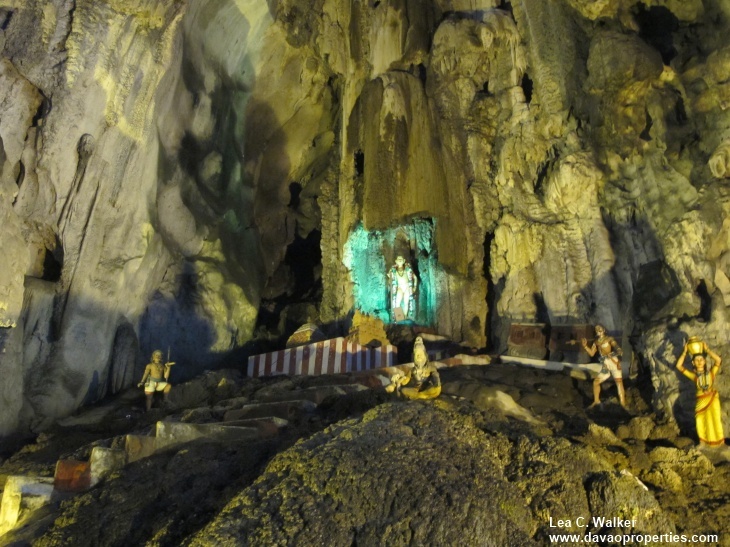 John felt a little disappointed when we found out that there’s a lying statue in one of the other caves. 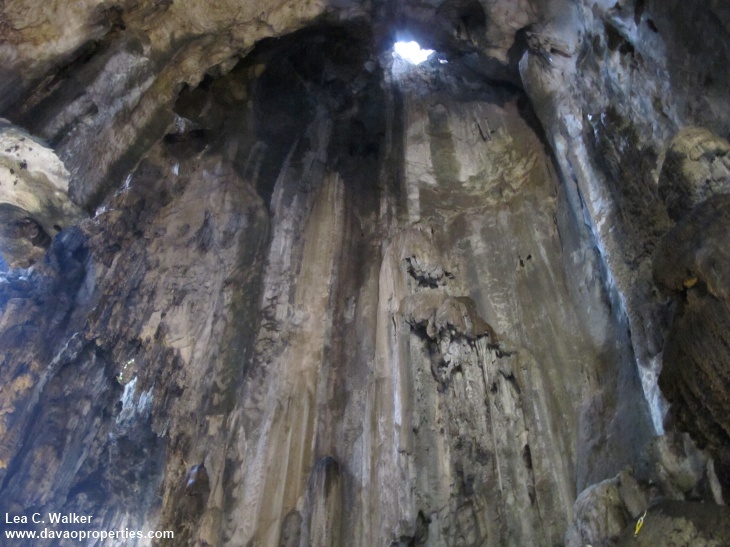 It was my first time to be in a cave. So for me, that experience was awesome! 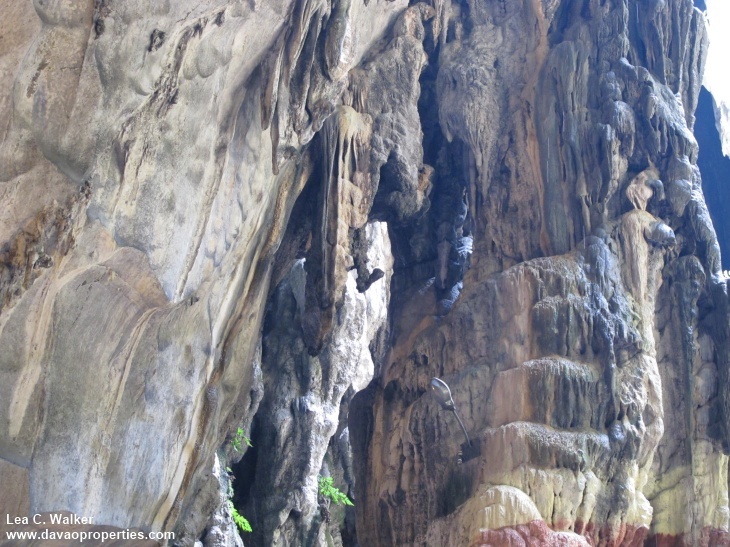 I loved looking at the stone formation with its various colors; red, yellow, blue… I just found it really beautiful. And I am glad that such a wonder is being preserved for people from our generation and beyond.. 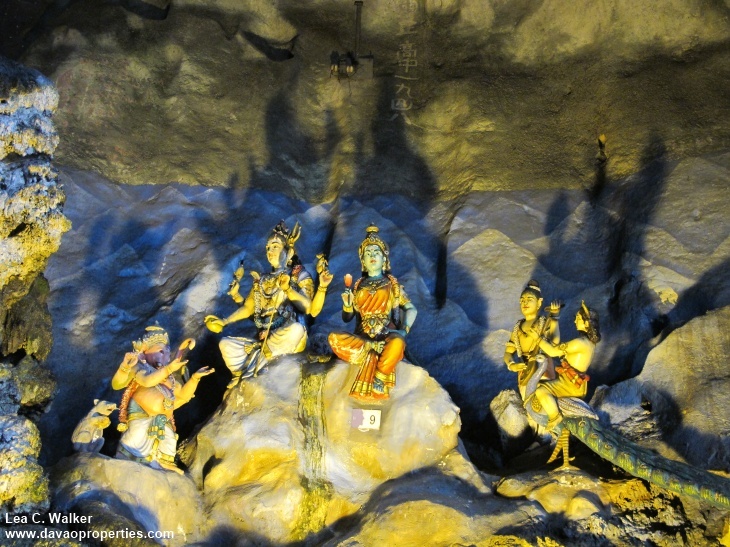 This entry was posted in batu cave, hindu god, hindu shrine, kuala lumpur, Lord Muruga, malaysia and tagged Batu Cave, Kuala Lumpur, Lord Muruga, Malaysia. Bookmark the permalink. Roy, thank you! 🙂 How's London?